A senior Department of Justice official running the internal review of the Hassan Diab extradition case also played a role in the Ottawa academic’s extradition to France — something Diab’s lawyer calls a clear conflict of interest. A senior Department of Justice official running the internal review of the Hassan Diab extradition case also played a role in the Ottawa academic's extradition to France — something Diab's lawyer calls a clear conflict of interest. Jacqueline Palumbo is one of two officials assigned to the "lessons learned" exercise the department announced when Diab was returned to Canada after spending three years in a French prison while being investigated for terrorism charges that were later dropped. Palumbo made no direct recommendation to Nicholson — though Nicholson appeared to have relied quite heavily on the information in her memo when he ordered Diab's extradition to France in 2012. "I think it's an actual conflict of interest," said Donald Bayne, Diab's lawyer. "And I think most people, reasonably looking at it, would say that there's a perception, a reasonable apprehension of a conflict of interest. Diab, 64, was arrested by RCMP in November 2008 and was placed under strict bail conditions until he was extradited to France in 2014. 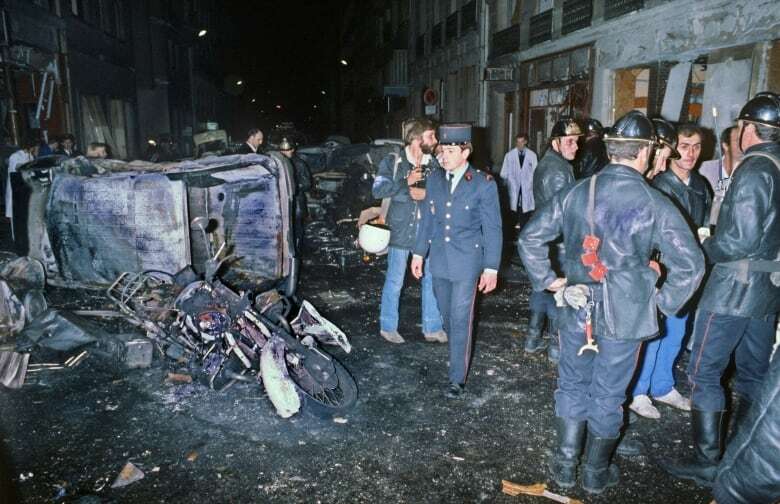 He was wanted by French authorities in connection with a 1980 bombing outside a Paris synagogue that killed four people. Later a spokesperson for the department emailed a statement to CBC News. "This exercise was not intended to replace or replicate a review by an external party. As previously stated, information gathered during this internal exercise will be shared with the third party who will be conducting the external review," she wrote. A confidential memo obtained by CBC News revealed the efforts made behind the scenes by a senior Department of Justice lawyer to ensure Diab's extradition by strengthening the French case when it was on the verge of falling apart. Diab and his supporters have been calling for a formal, judge-led public inquiry into his extradition. At this point, the government shows no signs of calling one, though it says it is reviewing the case. In addition to the internal "lessons learned" review, Justice Minister Jody WIlson-Raybould has said that she will ask for an external review of the case. The terms of reference of that external review, and the names of the people who will conduct it, still haven't been finalized. While the department sorts that out, a growing number of observers are joining the call for a formal public inquiry. The push started with Amnesty International and the B.C. Civil Liberties Association. The Criminal Lawyers' Association — which represents more than 1,000 Canadian defence lawyers — is the latest group to join the call for a public inquiry. Craig Bottomley, the association's vice-president, said having Palumbo involved in the "lessons learned" review is fraught with problems. "This would clearly be a person too close to the workings of the extradition then deciding if they did a good job or not, or if they did something in an ethical fashion," Bottomley said. "It's certainly too close to the exercise to be of any assurance to people looking from the outside in that they are meeting the high standards that are being imposed upon them." The CLA was even more blunt in a letter it sent to the justice minister. The letter points to a CBC News report that revealed the work Canada did behind the scenes to help France secure Diab's extradition. The defence lawyers warn the justice minister that "the public's confidence in the role of your counsel and Canada's role as an extradition partner has been tainted" and that in future extradition cases, defence attorneys "can no longer have trust and confidence in assertions of representations" that are made by Department of Justice lawyers. The department has defended the conduct of its lawyers in the Diab case. It says it is normal practice for Canadian government lawyers to provide extradition-requesting states such as France with advice on how to strengthen their cases.